"We've come from Brooklyn to here," said Kiesza, the Canadian singer-songwriter, as she cast her eyes around the grand gallery at Sotheby's where Fendi held a dinner party on Thursday night to mark the opening of its new Bond Street store. "We don't even know which fork to use!" Kiesza, who attended the dinner with her friend and choreographer Ljuba Castot, has recently moved from New York to the U.K., where her single "Hideaway" hit number one on the U.K. charts last week. She’ll be doing the European music festival circuit this summer, and her first album is due out in October. “I think we have one day off in Ibiza,” said the singer, who was already planning her precious free time. She wasn’t the only crooner there: Anna Calvi, the British singer-songwriter and guitarist, performed a live set before dessert. The dinner was co-hosted by Fendi’s chairman and chief executive officer Pietro Beccari, Silvia Venturini Fendi and Karl Lagerfeld, and guests included Carla Fendi, Arizona Muse, Rocco and Aliai Forte, Elisa Sednaoui, Cara Delevingne, Poppy Delevingne, Suki Waterhouse, Lily Allen, Naomi Campbell, Delfina Delettrez Fendi, Kristen Mcmenamy, Anna Calvi, Talullah Harlech, Tinie Tempah, Aluna Francis, Luke Evans, Sam McKnight, Pat McGrath and Tim Noble. Before dinner, Carla Fendi chatted about her foundation’s restoration of a theater in the ancient town of Spoleto, Italy, and an upcoming concert that Riccardo Muti will be conducting there later this summer. Muse, who attended the dinner with her boyfriend Marc Abegg, said she has some “exciting upcoming work” with English brands, and — separately — has just finished interviewing Patrick Demarchelier for i-D. “I found his mannerisms very interesting, and he speaks with a very thick French accent — despite having spoken English for the past 30 years!” she said. Sednaoui is balancing motherhood — her son is nearly a year old – with modeling, acting and filmmaking. Her first documentary, “Tomorrow, God Willing,” deals with themes of love in the Egyptian countryside, and will be finished in early June. 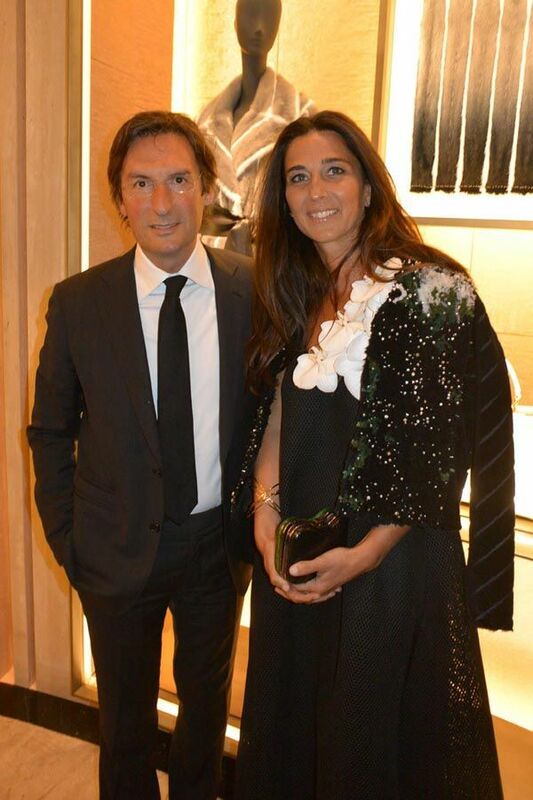 Sednaoui has recently returned from Egypt, where her eponymous foundation provides children with after-school arts projects. Guests gathered at Sotheby's, across the street from the new store, where one-off Fendi Peekaboo bags designed by the likes of Tracey Emin, Jerry Hall, Adele, Gwyneth Paltrow, Georgia May Jagger, and Cara Delevingne were on display — and on the block. The auction of the bags is in aid of the Kids Company charity, and closes on Friday, May 30. 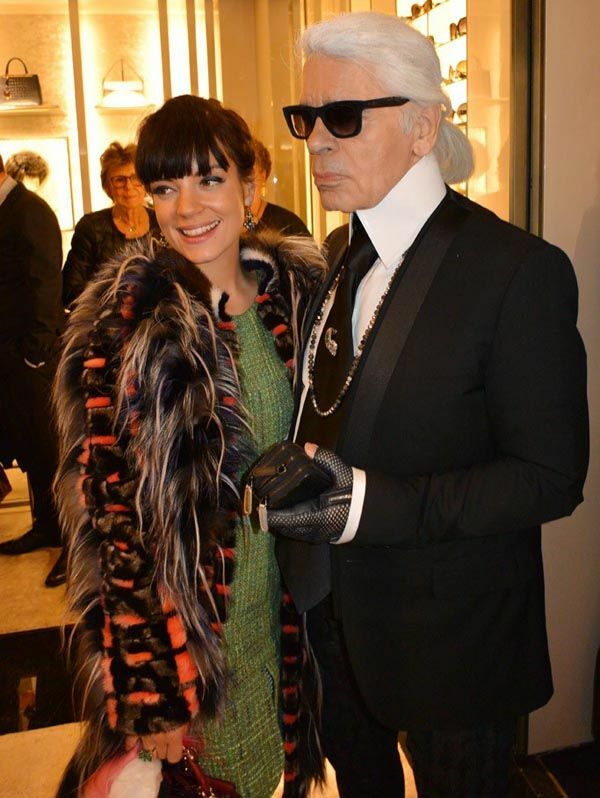 Beccari was particularly happy that Lagerfeld was there: "I know you don't like dinners, Karl, but thank you for coming to this one. I really appreciate it," he said before guests sat down to a four-course meal of tuna tartare, pasta with fish, wild sea bass, and apple tart.